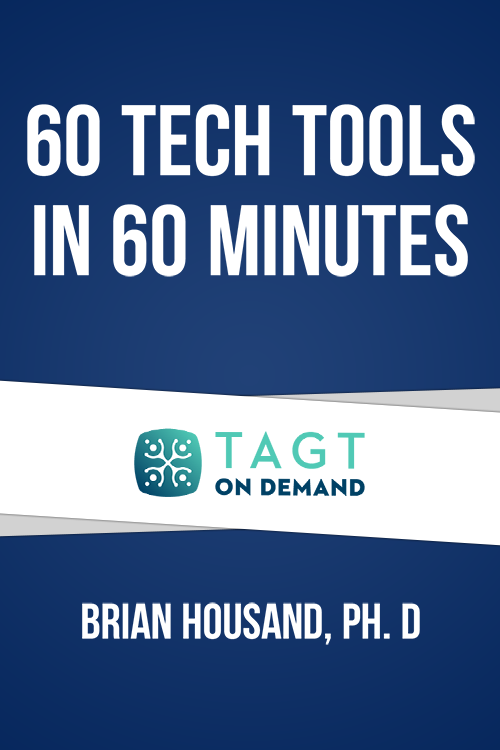 Travelling at a rate of a tool per minute, this fast-paced and informative session will help bring your technology toolbox up to speed by categorizing and reviewing resources designed to promote creativity, critical thinking, collaboration, and productivity in you and your gifted students. Just imagine being able to leverage one of these tech tools and what it can do for your classroom. Your students will get more out of their experience and your teaching career can be even more fulfilling! Brian Housand, Ph.D., is an Assistant Professor at East Carolina University in the department of Curriculum and Instruction. He completed his doctoral work at the University of Connecticut with an emphasis in both gifted education and instructional technology. Dr. Housand is the current chair of the National Association for Gifted Children (NAGC) Computers and Technology network, and he writes the “Untangling Technology” column for Teaching for High Potential. Currently, he is exploring ways in which technology can enhance the learning environment and striving to define what it means to be creatively productive in a digital age.